I made a video to show how I made my wooden ring out of a hand plane shaving. I posted the project here. This is the link to the video on youtube. Nice video Brett. The process was well explained. Good job with the video Brett. As I said before, I’ve not seen this before, but I do plan to give it a try.. Thanks for sharing. This looks great. Going to have my daughter watch it and share a little shop time. Possibly a better way to get the ring off the dowel would be to drill a hole in a board and then use it to push the ring off. Thanks for a great idea and a good tutorial. 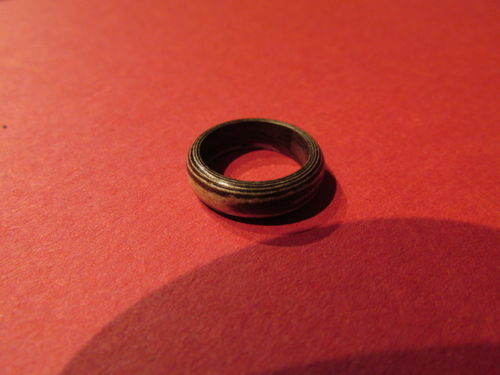 -- Quote from ebay tool listing: " Has nicks and dings wear and tear dust and dirt rust and pitting but in good working condition"
Picklehead-That is exactly what I did for the first ring that I made. The video was of the second ring I made. I made the 2nd and third rings slighty larger than the first and I don’t have a bit size larger than the dowel but small enough to engage the ring. Great tip, thank you! 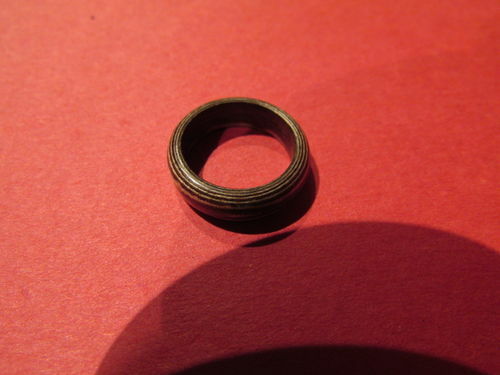 I have made a couple of rings myself. Have wanted to try a layered or laminated one but haven’t tried yet. After seeing your way of doing it, will have to break out the old planer and give it a try. Just because it has never been done that way before, doesn’t mean it is the wrong way of doing it. Great job of thinking outside the box! Scrappy-I just made a walnut and maple laminated one tonight!